My inspiration for this design comes from the way that many spacecraft payloads are folded up and unfurl into amazing shapes. The ring has an internal structure that appears to be unfolding into something else. 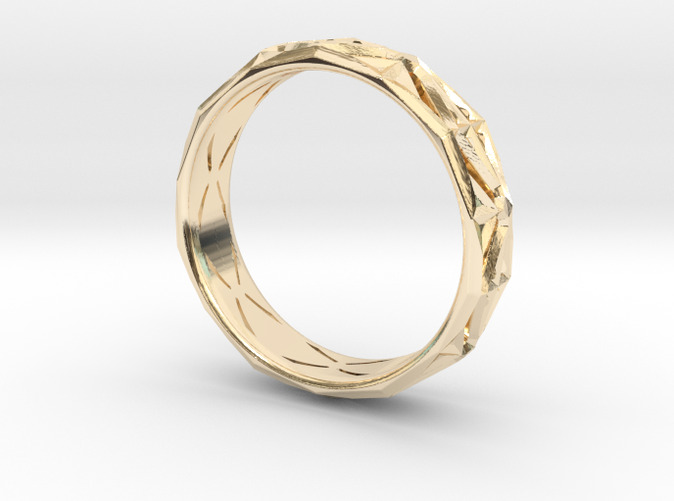 This ring has lots of details, with ridges and facets to catch the light and cut outs for depth. 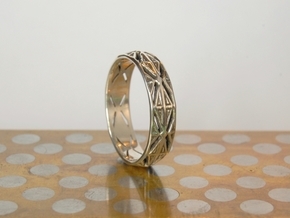 It is a lighter weight ring with a thin band that is not too bulky. The nature of the facets create small protected recesses that can easily be customized at home with paint or patina if desired, or left bare metal for a more dazzling look. Available in ½ sizes from 4 to 11.